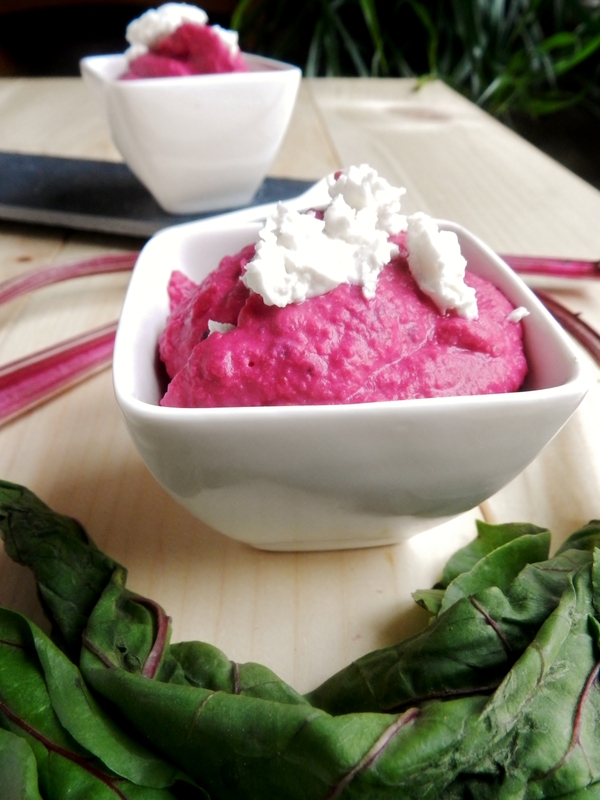 Meatless Monday – Can you feel the Beet? Cheesy, I know. But seriously, can you? We saw Heather over at Better With Veggies‘s meatless Monday theme for August and couldn’t resist! We love meatless meals, vegan and vegetarian cooking is always so delicious and interesting, and often find ourselves eating sans-meat (not just on Mondays!). When you’re done reading our post, head on over to Heather’s blog to see the rest of the meatless Monday participants! We missed last week’s special ingredient, Artichokes, because we were at Canada’s Wonderland all day, so we definitely weren’t going to miss this weeks – Beets! 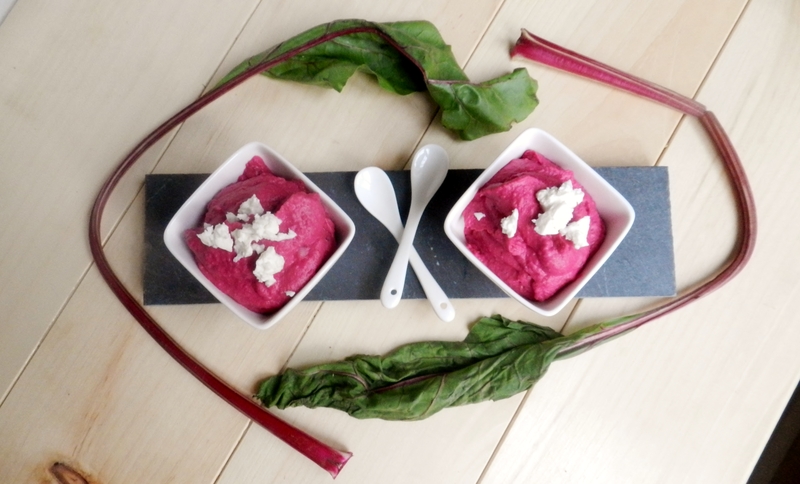 We’re not going to lie, Beets are something that scared us for a long time. My family always has pickled beets on the table at any given holiday or get together, and until recently we’ve been afraid to try them. I think part of it was their bright red colour (to be honest when I was little I thought they looked like some nasty organ from an unknown animal) and the other part was their earthy scent. When I was young I thought that no way could something that looked like it came from the inside of some bestial carnal and smelt like those insides had been buried under the ground for a decade taste good. We love to roast them and put them in sandwiches and wraps, on salads, and even using them in cupcakes! But for today’s meatless Monday recipe, we wanted to try something that we hadn’t previously done. So we went boldly where no bean dip has gone before! 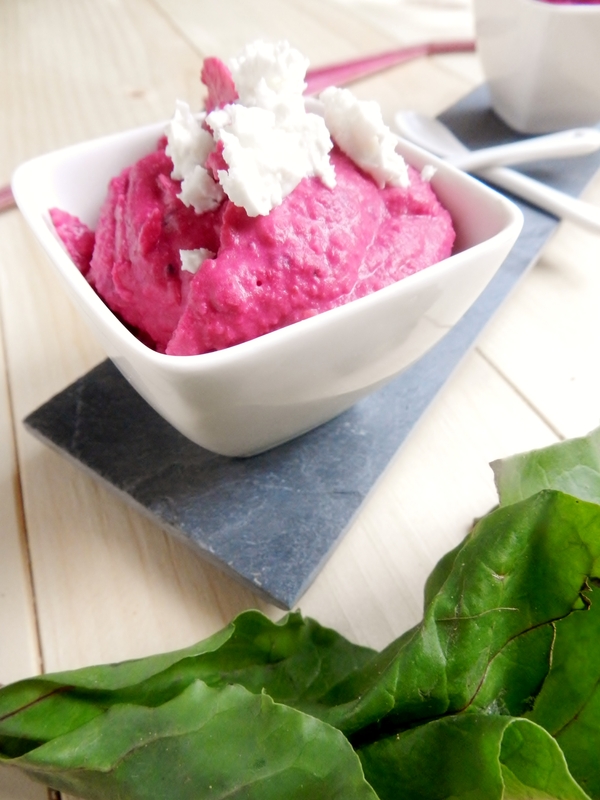 Beet and Feta Bean Dip! Don’t you just LOVE the colour? 🙂 The feta in it is primarily there for flavour, so if you left it out it wouldn’t affect the texture much I don’t think, but you may want to adjust the amount of salt. This dip was actually surprisingly good! Everything about it is spot on, from the flavour right down to the texture. It’s beet-y without being overly so, slightly sweet with a tad bit of salt. 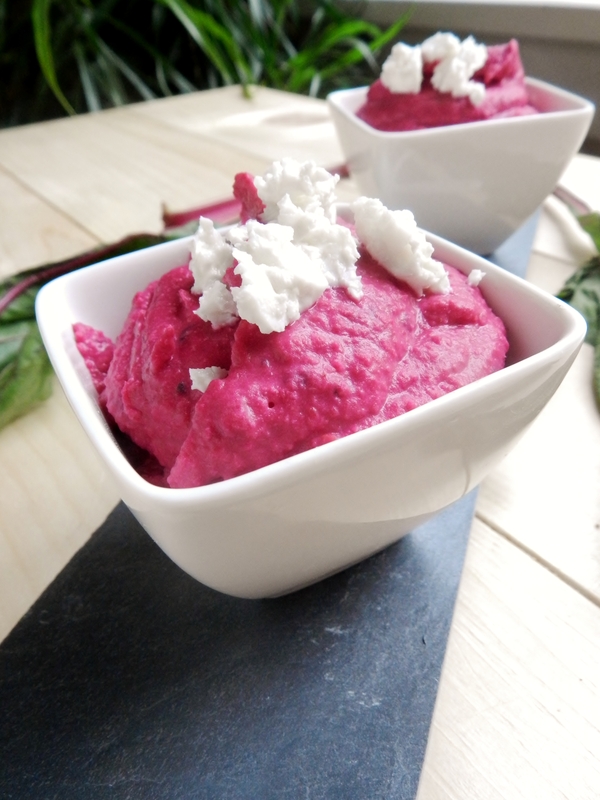 Chop your beet into a few pieces and put in a food processor along with all other ingredients and blend. Allow to blend for 5-7min or until smooth and creamy. Dip crackers, pitas or veggies in it, spread in on sandwiches – the possibilities are quite endless! 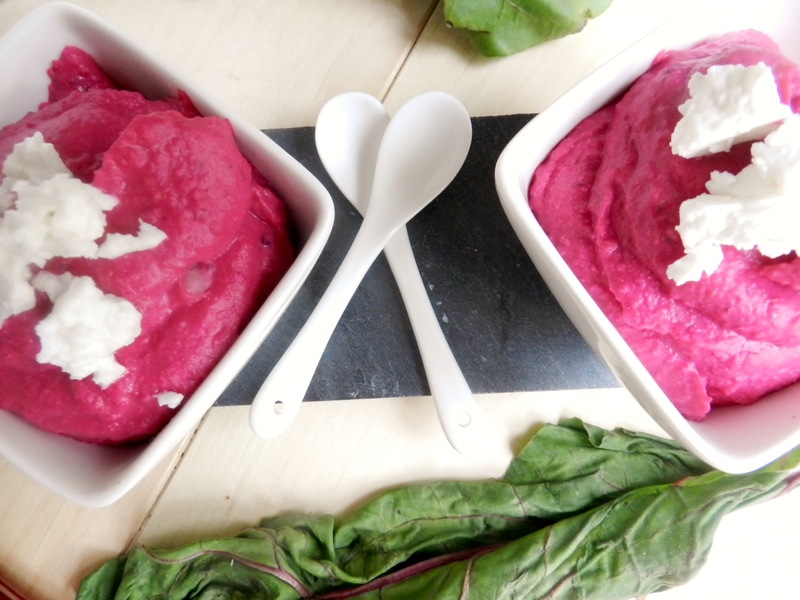 Have you ever tried beets before? Were there any foods that you didn’t like or were afraid to try when you were little that you love now? 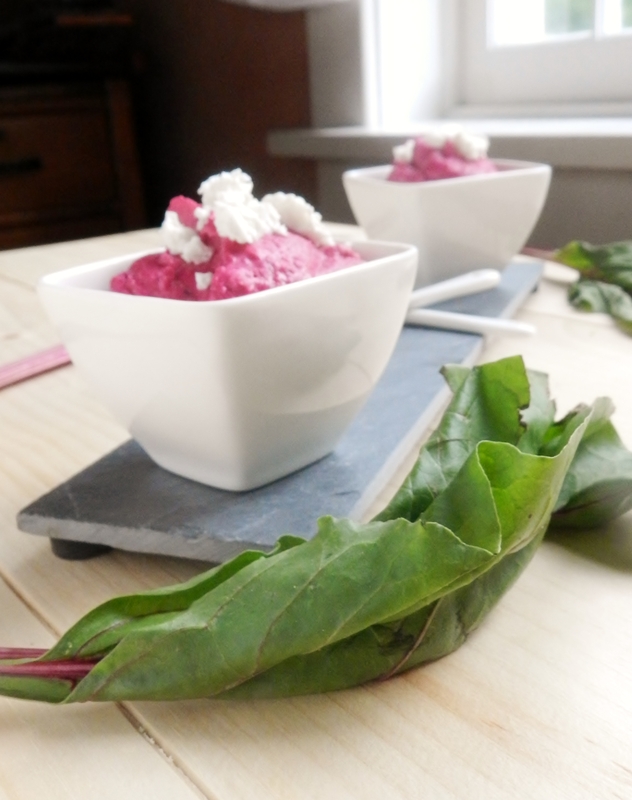 Posted in Uncategorized and tagged bean dip, beets, egg-free, gluten free, healthy, low fat, Meatless Monday, navy beans, vegan, vegetarian, wheat-free. Bookmark the permalink. Just like the both of you, I am super adventurous when it comes to trying fruits and vegetables. I think it is because I have always listened to my parents- so finding unusual foods that THEY themselves do not want to try, is my way of being rebellious. I’ve convinced them to make leek soup and lately beets have been on the table more and more. In France they have pickled beet salads. This recipe is ingenious. Can’t wait to try it- Not a fan of the cheese though- I can leave that off easily right? I’m just not a cheese girl unfortunately! That’s ok! :) Like we said, we don’t think it’s necessary! You could try tofu for the texture!